Fresh seafood, popular beaches and iconic architecture makes Sydney one of the best cities to visit in Australia. With cool restaurants and bars, markets, museums and green open spaces, Australia’s cities are vibrant places to explore, but the sheer size of the country means you probably won’t get to see all of them during one trip. To help you decide where to go, here is our guide to the top 12 best cities to visit in Australia. Modern and sophisticated, Sydney is one of the best Australian cities for tourists. With fantastic beaches and the Blue Mountains on the doorstep, you will love Sydney if you enjoy the great outdoors. A vibrant culinary scene means you won’t be short of great places to eat and drink either. The Sydney Opera House is the city’s most famous landmark, where you can watch dozens of live performances and dine in top restaurant, Bennelong. Nearby, the Harbour Bridge is the perfect spot for taking photos. Climb the 134-meter high Harbour Bridge for panoramic views. The Rocks is Sydney’s heritage district, where 100-year-old buildings stand alongside modern galleries and cafes. Bondi, with its beach, surfing and laid-back vibe is a must-visit. Take to the water in a kayak for a different view of the harbour. Sydney’s food and drink are among the best in the world, so dine out at a celebrated restaurant like Quay. Melbourne has gained a lot of popularity for its street art. With its vintage shops, graffiti-covered backstreets and coffee culture, Melbourne has earned a reputation as Australia’s capital of cool. The city has plenty to see and do whether you enjoy art or sports. Located on Victoria’s famously beautiful coast, there is plenty of nature and wildlife in Melbourne as well. The National Gallery of Victoria is Australia’s oldest art gallery, with a large collection of national and international art. The Queen Victoria Market is a foodie’s paradise selling delicious street food and local produce. The neighbourhood of St Kilda, with its historic funfair and beach, is an ideal place to spend a chilled afternoon. Phillip Island has a famous colony of Little penguins to see. 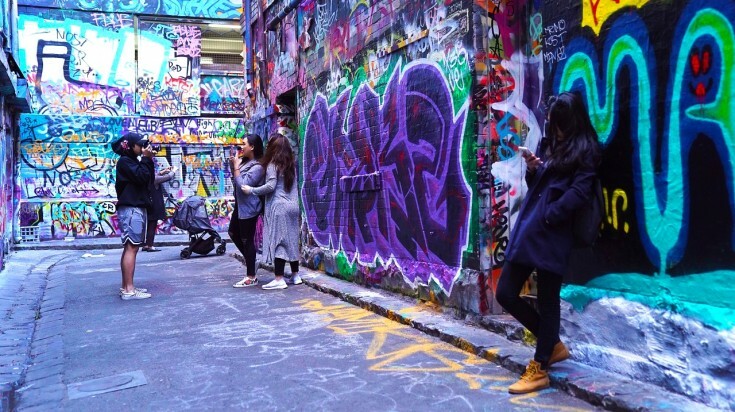 Melbourne is famous for street art so join a tour of the colourful backstreets. Dive into the food and drink scene by visiting the craft breweries and coffee shops. For the ultimate road trip experience, drive the iconic Great Ocean Road. Take a balloon ride over the city. Surfer's Paradise is one of the most popular surfing spots in Gold Coast. If you are looking for fun, look no further. 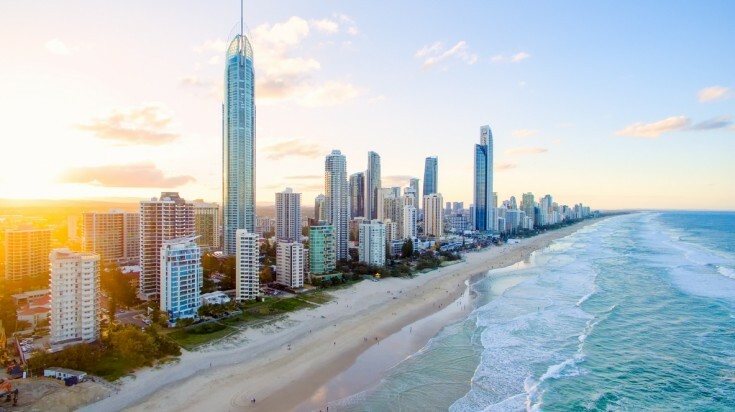 Famous for surfing, rollercoasters and nightclubs, the Gold Coast attracts millions of tourists every year. Its iconic coastline stretches for more than 60 kilometres and boasts some of Australia’s best beaches. Surrounded by tropical rainforest and mangroves, it is also an area of natural beauty. The Jellurgal Aboriginal Cultural Centre offers cultural walking tours and aboriginal dance performances. Currumbin Wildlife Sanctuary is home to native species including koalas, kangaroos and crocodiles. The Gold Coast is a top surfing destination so book yourself a lesson at Main Beach. Take the kids to one of the many theme parks. If you love the outdoors, take a hiking trip — there are many excellent trails in nearby Burleigh Head National Park and Mount Tamborine. 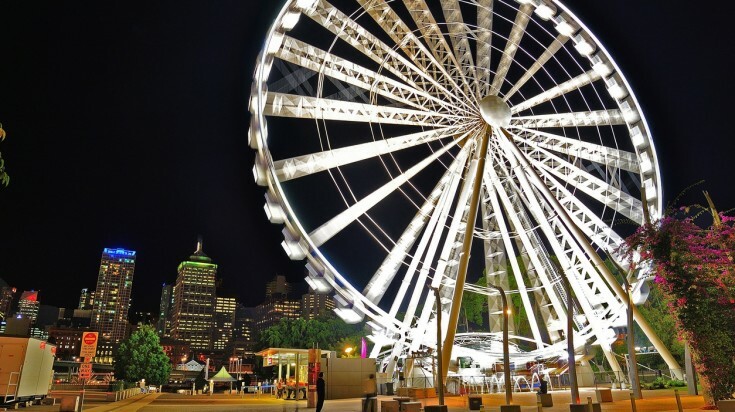 The Wheel of Brisbane is located in central Brisbane. Brisbane is one of the oldest cities in Australia and was home to indigenous people thousands of years ago. Built around the winding Brisbane River, the city boasts riverfront promenades, islands and beaches, making it a playground for water-lovers. You will love Brisbane if you enjoy music, cycling and the outdoors. The Queensland Art Gallery and Gallery of Modern Art are musts for art lovers. Brisbane’s South Bank has lots going on including markets, a swimming lagoon and city beach. Mount Coot-tha has panoramic views of the city from the summit. On the edge of the city, Lone Pine is the world’s largest koala sanctuary. Brisbane is made for adventure-lovers. Climb the Story Bridge for an adrenaline rush and dramatic views. Explore Moreton Bay or Kangaroo Point by kayak. Try sandboarding on giant dunes on Moreton Island. Brisbane is also great for cyclists so hire a bike and explore the city on two wheels. Adelaide is home to great museums and a lively local food scene. 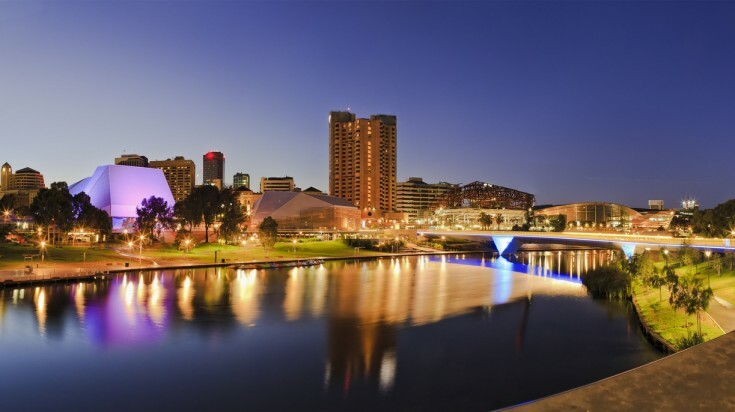 Adelaide is home to some great museums and a lively local food scene. Known for its arty, bohemian vibe, the city always has a packed calendar of cultural events. Sandwiched between the coast and the wine-growing Mount Lofty Ranges, Adelaide is the ideal base for exploring local vineyards. The Art Gallery of South Australia (AGSA) has a superb collection of national and local art. The National Wine Centre is a great place to learn about wine and enjoy a tasting. Cleland Wildlife Park is home to native animals including koalas and wallabies. The Adelaide region is famous for wine so tour the vineyards in the surrounding Adelaide Hills, Barossa Valley, Clare Valley and McLaren Vale. Between May and October, watch whales on the Fleurieu Peninsula — just an hour’s drive from the city. Cairns, a popular city on the east coast of Australia, is a good base for exploring the Great Barrier Reef. On the coast of northern Queensland, Cairns is best known as a base for exploring the Great Barrier Reef. One of Australia’s top tourist destinations, the city is popular with foreigners and locals alike. Surrounded by rainforests and wetlands, Cairns will suit you if you love exploring the outdoors. Cairns’ top attraction is, of course, the Great Barrier Reef. Spend some time snorkeling or scuba diving on the Great Barrier Reef. Upolu Cay, Green Island and Fitzroy Island can all be reached on a day trip. Cairns aquarium is the only one in the world dedicated to the Reef’s wildlife. On the waterfront, you will find a boardwalk, picnic areas and a saltwater lagoon for swimming. Daintree Rainforest, on the outskirts of the city, is the oldest rainforest in the world. Wild swim at Crystal Cascades, a series of pools and waterfalls just outside the city. Walk or hike in the nearby Atherton Tablelands an attractive region of mountains, rainforests, creeks and scenic waterfalls. Darwin is a great base to explore Australia's Top End. 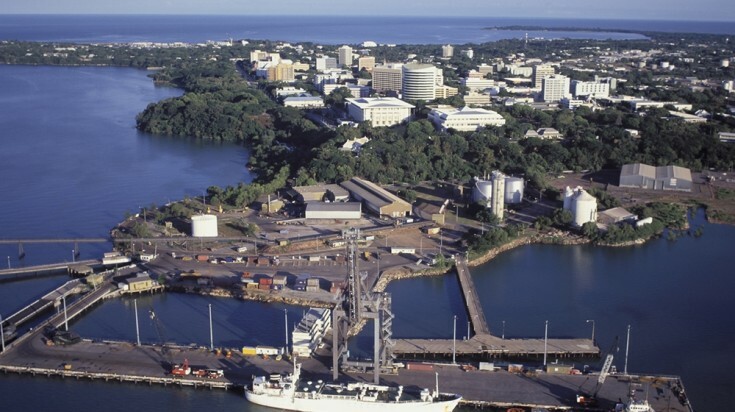 The capital of the Northern Territory, Darwin was inhabited by aboriginal people for thousands of years. Across the sea from Southeast Asia, Indonesian influences are everywhere, from the street food to the craft shops. A city where you can catch a seaplane as easily as catching a bus, Darwin is a great base for exploring the Top End — Australia’s wildest region. Darwin’s Museum and Art Gallery of the Northern Territory has an extensive collection, including aboriginal art. Mindil Beach has an eclectic market selling everything from indigenous crats to Indonesian food. The Darwin Aviation Heritage Centre is dedicated to the Northern Territory's aviation history, with plenty of aircraft on display. The Royal Flying Doctor Service tells the inspiring story of the airborne medics. It wouldn’t be Darwin without crocodiles, so join a cruise down the Adelaide River and see them in the flesh. Dine al fresco on local seafood in the harbour. Wander through the mangrove forests in East Point Reserve. Book an exciting heli fishing day trip in the remote Top End. Hike in nearby Kakadu National Park, Australia’s largest natural reserve. Perth has an abundance of green space, making it a clean and peaceful destination. Friendly, modern, green and boasting an unspoiled coastline, it isn’t hard to see why locals love Perth. Growing as a tourist destination, it has clean sandy beaches, parks and a wealth of great bars and restaurants. With its heritage buildings, al fresco restaurants and coffee shops, historic Freemantle is perfect for a day trip. The Art Gallery of Western Australia’s collection includes contemporary aboriginal art. Kings Park is a vast expanse of green overlooking the river. Home to otherworldly rock structures formed 25,000 years ago, the Pinnacles Desert is just two hours’ drive away. Perth is famous for beaches so spend a day relaxing at Cottesloe or Metthams Pool. Kayak or paddleboard on the beautiful Swan River or around Rottnest Island. Between September and December, join a whale watching boat cruise and see humpback whales in the wild. Perth is surrounded by wine regions so enjoy some vineyard tours and tastings in the Swan Valley. 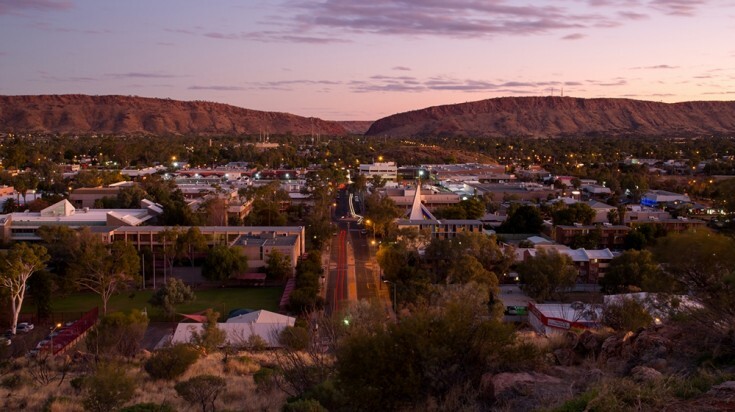 Alice Springs is the perfect base to explore Australia's outback. Hot, dry Alice Springs, in the middle of the Red Centre, was home to indigenous people for thousands of years and today is the perfect base for exploring the outback. 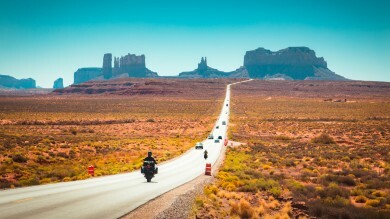 While it seems to be miles away from anywhere, Alice has plenty of galleries, museums and good restaurants. The Araluen Arts Centre specializes in art from Central Australia. The Alice Springs Telegraph Station tells the story of the town and the birth of telegraph communication. The world-famous Kangaroo Sanctuary is an inspiring place where injured and orphaned kangaroos are looked after. And of course, no visit to Alice Springs would be complete without a trip to Uluru (Ayers Rock). Camping is the best way to see the beauty of the outback, so head to Yulara or Kings Canyon. Another way to see this striking landscape is on foot — so hike a section of the 200 km Larapinta Trail. For the ultimate outback experience, take to the skies in a hot air balloon. Byron Bay is an iconic destination for beach lovers. Byron Bay is an iconic surf destination and a popular hangout for Australia's in-crowd. With a stunning coastline and breathtaking national parks, Byron is one of the most beautiful spots in Australia. Also known as a wellness destination, Byron is full of retreats and spas offering endless ways to pamper your mind and body. 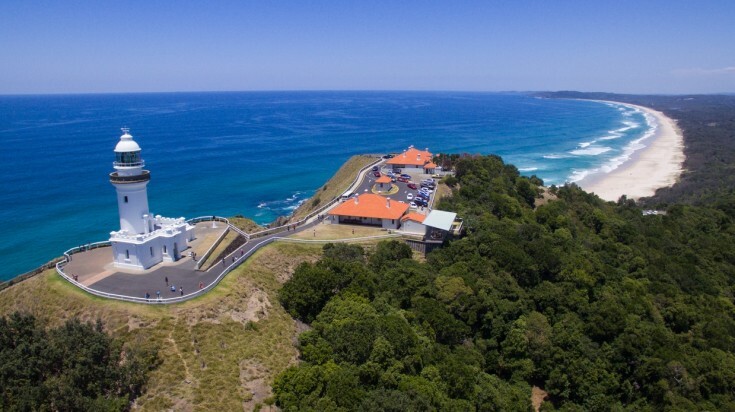 Cape Byron is Australia's easternmost natural reserve with breathtaking views from its lighthouse. For perfect Instagram photos of the Bay, head to the Captain Cook Lookout. Life here is all about relaxing so head to Tallow, Belongil or Clarkes Beach and soak up the sun. Grab a surfboard and head to Main Beach. Scuba dive in the Julian Rocks Marine Reserve, one of Australia’s best dive sites. Byron is also a great city for live music fans so check out a local band in one of the many pubs. Hobart is a city full of historic buildings, trendy galleries and modern restaurants. Tasmania’s capital, Hobart, is a place of historic buildings, trendy galleries and modern restaurants, all centred around a stunning waterfront. The city’s food culture is growing as rapidly as its arts scene. On the edge of the vast wilderness of Tasmania, Hobart is perfect for nature and wildlife lovers who don’t want to stray too far from civilization. The waterfront is well worth visiting with historic warehouses, a working fishing harbour and plenty of seafood restaurants. The Tasmanian Museum and Art Gallery explores everything from the island’s natural history to its art scene. The controversial Museum of Old and New Art (MONA) is unmissable. 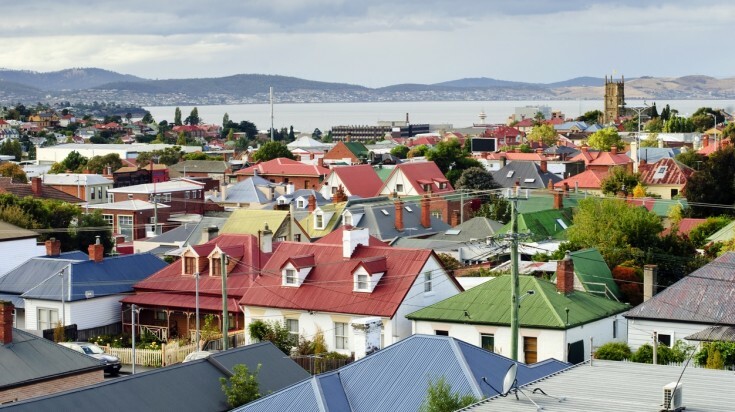 Hobart is a city for foodies, so explore the restaurants of North Hobart, browse the Salamanca Market or grab a beer at one of the city’s breweries. The city is built on the spectacular Derwent River, so take a cruise or a water-taxi, or better still, take to the river in a kayak. Hike up Mount Wellington for magnificent views. 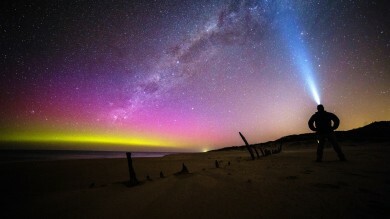 Hobart is also one of the few places where you can witness Aurora Australis or the Southern Lights. 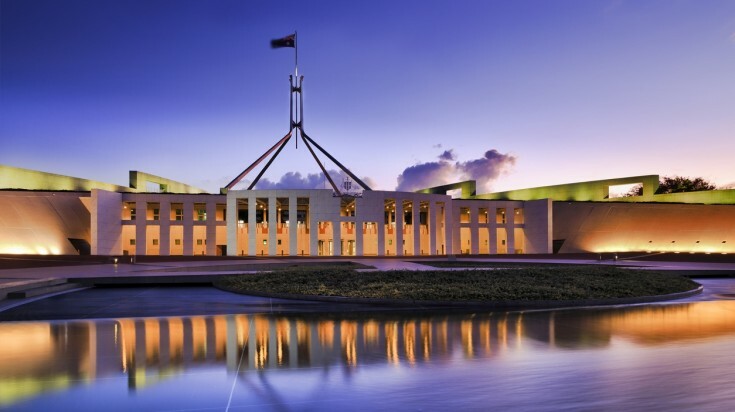 Between Sydney and Melbourne, Canberra is one of the best cities in Australia for culture and is brimming with excellent museums, galleries and monuments. It is a modern, clean city that also has plenty to offer outdoor lovers with its huge central lake and bushland in the city. Visit the galleries and museums. The National Gallery of Canberra has works by top artists. The impressive Australian War Memorial has a museum telling the stories of major conflicts. Braddon is full of independent shops, restaurants and coffee shops. Lake Burley Griffin is the city’s green haven. Enjoy the city’s sophisticated restaurant scene. Go bushwalking in Namadgi National Park just outside the city. Canberra is also a popular place to try hot air ballooning so take to the skies for a bucket-list experience. 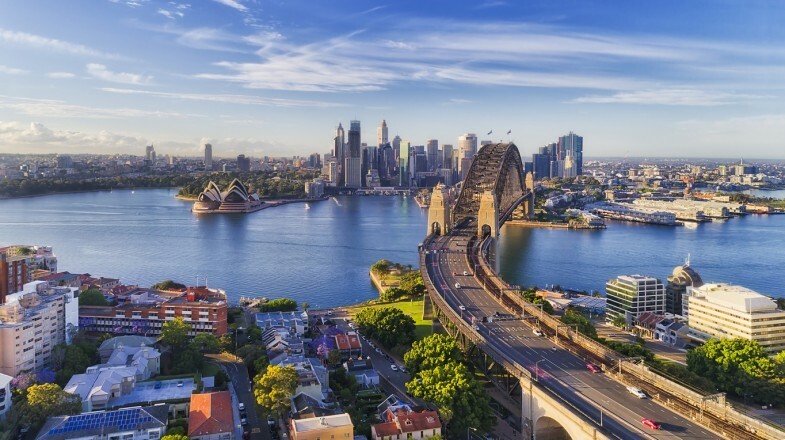 Australia’s cities reflect the chilled-out, multicultural nature of their inhabitants, and wherever you choose to go, you won’t be short of great things to do. 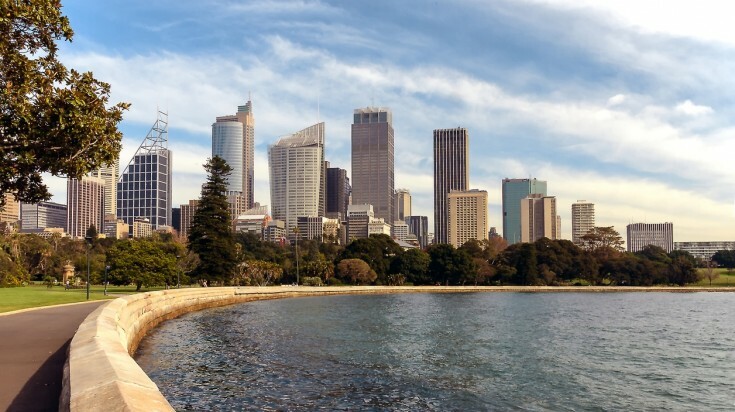 If you’ve found our guide to the best cities to visit in Australia useful, why not check out our guide to planning a trip to Australia as well?